Listen up, pals. Just because a video is four months old doesn’t mean it isn’t worth blogging about, and just because a video has 37 million views on Facebook doesn’t mean everyone seen it. So deal with this post, OK? Don’t be all, “But Bobby, we sobbed to this in June! Where have you been?” Because I won’t respond to any such comment! 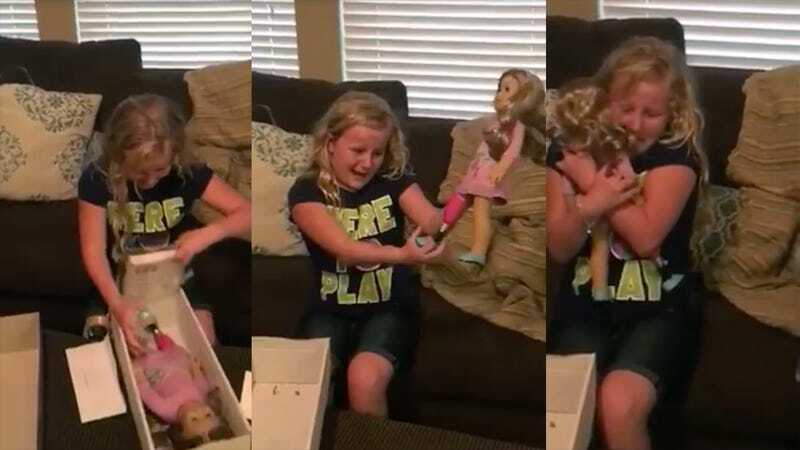 Now that I’ve got that overly defensive introduction out of the way, allow me to continue by admitting that yes, we at Jezebel don’t know how we missed this heart-tugging chronicle of a young girl with an amputated leg being given a customized American Girl doll that also has an amputated leg, but we are posting it now—and that’s worth something. While watching it earlier this morning in our cold, dark office, I cried, damn it. And then I watched it again.